Apple Smart Watch users use Breathe App on its Apple Watch because it gives an ideal result to relieve anxiety and stress. For this, the essential requirement is to set breathe reminders on AW. 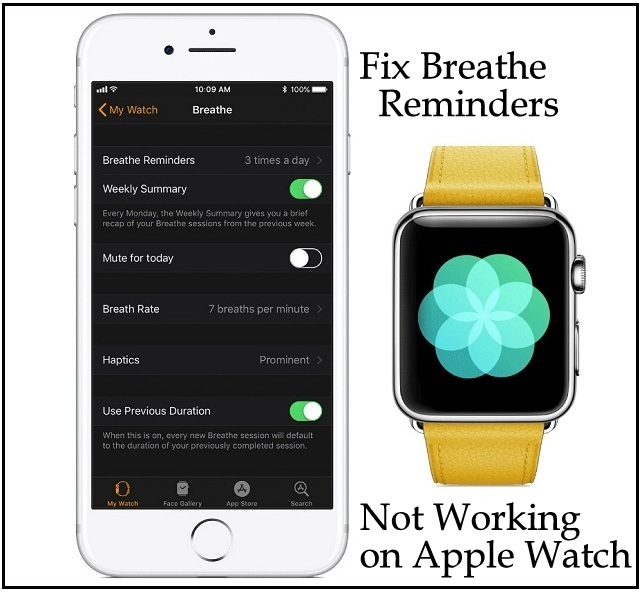 Even though, we have seen many Apple Watch users addressed the issue concern broken Breathe Reminders not reminding or get them sporadically. We have ready a list of the use solution that will help you to troubleshoot the bug breathe app not sending reminders. Just you need to go with the following instructions. So don’t move anywhere from here and try this solution and share this theory to be helpful for other folks who are finding correct answers. Why my Apple Watch breathe App Reminders do not work or getting sporadically? Due to following symptoms, your AW might stop sending you Activity App and breathe App reminder notifications (most tied to your stress level and heart rate). You need to launch the Apple Watch App on your iPhone – Tap My Watch tab – Tap Passcode – Now make sure that the Wrist Detection is turned on/Green. In this case, your Apple Watch needs downgrade Watch OS 4 from to lower version. Might be solved an issue. 4. After installing faulty Watch OS version – Your Apple Watch breathes notifications won’t work like before. Keep turn Do Not Disturb Off on your iPhone and Apple Watch. Move from Apple Watch developer program to Public Watch OS firmware. 8. 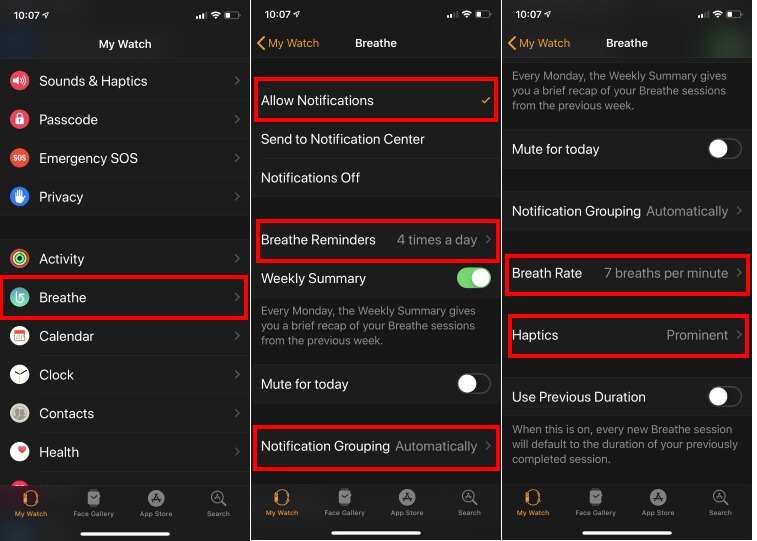 In case, your breather reminder time coincides with an event in your iPhone iCloud/Google calendar/ Appointment scheduled – Generally, the user gets the Reminder for a short time after event completed or AW user stops moving anywhere. But don’t worry. You simple workaround for this problem is setting recurring reminders in the Phone calendar App manually. For example, set to ten times a day. Fix #7- Try to Use Siri watch face instead of other Watch Face to get Stand/ breathe reminder notifications. 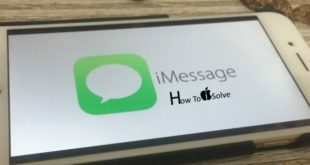 Fix #9- I Suggest you that you should submit the feedback to the Apple to report your Problem. 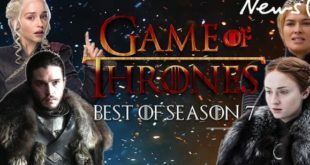 Good luck to all users! Hope, one of the above-listed answers fight against your AW breather reminders issue and from now, you will get regular mindful breathing reminders.